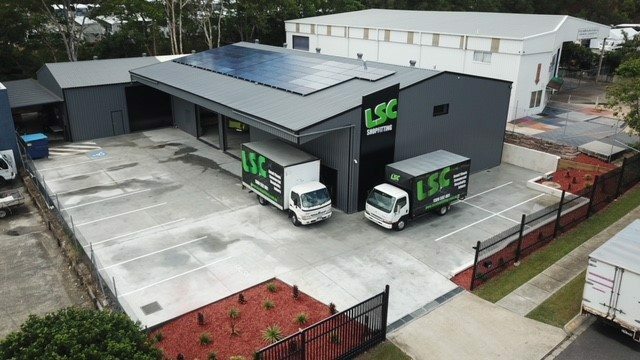 Established in 2011, LSC Shopfitting have worked with some Australia’s most innovative and recognisable brands. During this time, we have built a reputation for completing retail and commercial fit outs with flawless skill and expertise. LSC Shopfitting understand your sense of urgency and always work to the demands of fixed deadlines. Lee Day heads the team with over 15 years’ experience. Lee and his team are proud of the relationships built with our clients and it is proof to the fact that we have retained and further established a repeat business culture. We custom make all cabinetry using high quality materials. From kitchens to bathrooms, let us help you create the perfect cabinetry to fit your needs. We pride ourselves on attention to detail and work closely with our clients to achieve meeting customers needs and expectations. Our modern workshop has all the latest equipment and machinery to manufacture the quality kitchen / bathroom to suit your style. We are located in Burleigh Heads and our business extends to all local areas and Brisbane. We offer free measure and quote, so call us on (07) 55 221 166 to make an appointment for your free consultation. LSC Shopfitting will provide the complete service for you from design to installation. We work with you to help streamline the process and provide practical on the job knowledge and advice. We carefully plan and work with you to turn your ideas into reality. This is what we call an integrated approach. Good design is an important proponent to any job and something we take very seriously at LSC Shopfitting. Once the planning and design phase is complete, our team of talented tradesmen are briefed and get stuck in. We take the time and care to provide quality finishes and make sure our clients are happy with the final outcome. We’ll help you open for business on time and on budget, with a quality fitout including Australian made joinery that is built to last.